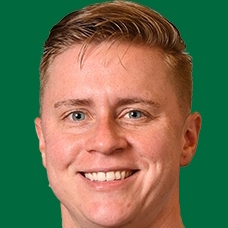 Callie Brownson has been named the offensive quality control coach for the Dartmouth College football team. With this appointment, she becomes the first full-time, woman football coach at the Division I level. Head coach Buddy Teevens stated “Callie is as good as anyone I’ve ever had in terms of her skill set, preparedness, attention to detail and passion.” She came to Dartmouth for a two-week internship during their preseason. The players enjoyed her coaching so much that they encouraged Coach Teevens to hire her after only a few days. Coach Brownson most recently served as one of 16 women coaches for the first women’s clinic held at the Manning Passing Academy in Thibodaux, Louisiana. She holds a bachelor’s degree in sport management from George Mason University.